Before boarding Baby B’s first international flight to Palm Springs, we asked our readers to recommend some attractions and things to do in the area. 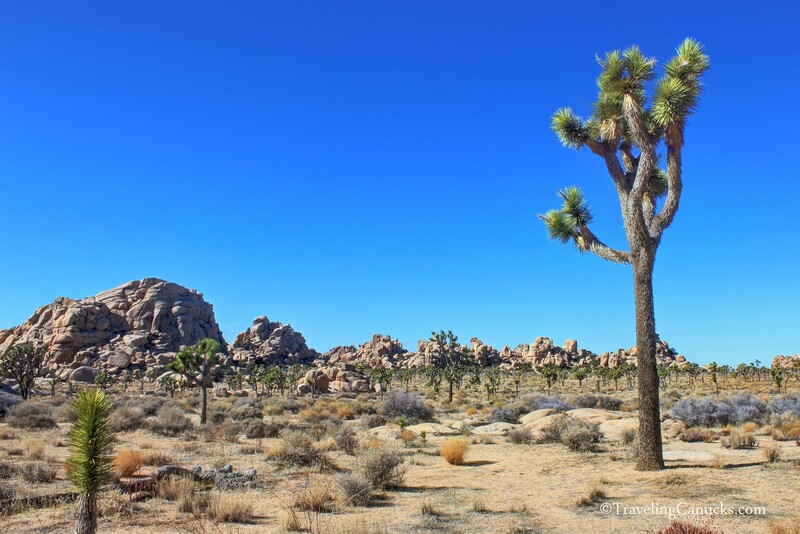 A common response was to visit Joshua Tree National Park, so we took their advice and planned to spend an afternoon exploring the fabled US National Park. 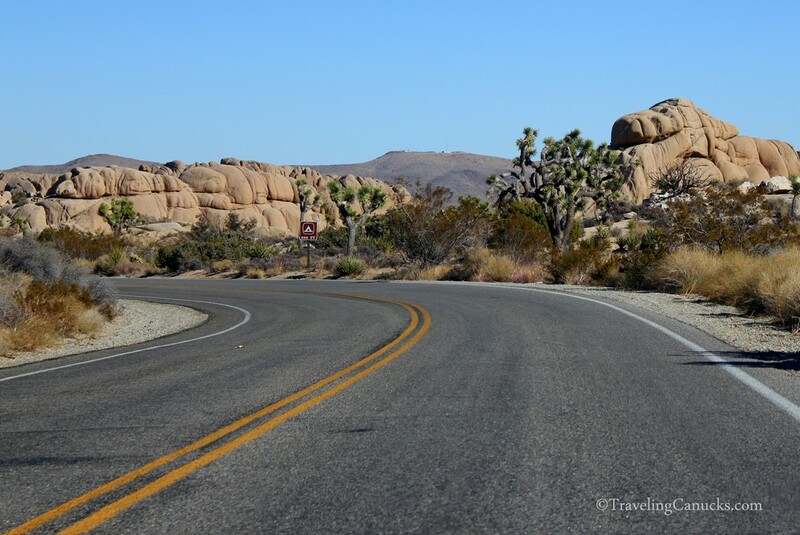 Knowing very little about the park, we jumped in the car and made the 45 minute drive from Palm Springs to Joshua Tree (the city), located northwest of the national park. We entered the park from the west entrance near Black Rock Canyon and traveled south to the entrance/exit near Cottonwood Mountains – here is a map. Originally, we thought we would spend a few hours exploring the park (including the 45 minute drive). But after pulling into the tourist centre to grab a park map, we quickly realized just how huge it is (789,745 acres to be exact!). “It takes approximately two hours to drive”, said the uniformed Park Ranger. “Seriously? !” we replied. With a 3-month old baby on-board, we didn’t know what we had just committed to. It’s one thing to plan for a 2-3 hour trip, but a 5-hour road trip is a completely different story (it takes an hour to get from the south entrance back to Palm Springs). Let’s just say that it wasn’t Baby B’s finest hour – he screamed for a solid 45 minutes – but the stunning landscapes made it well worth the detour. No pain, no gain – right?! 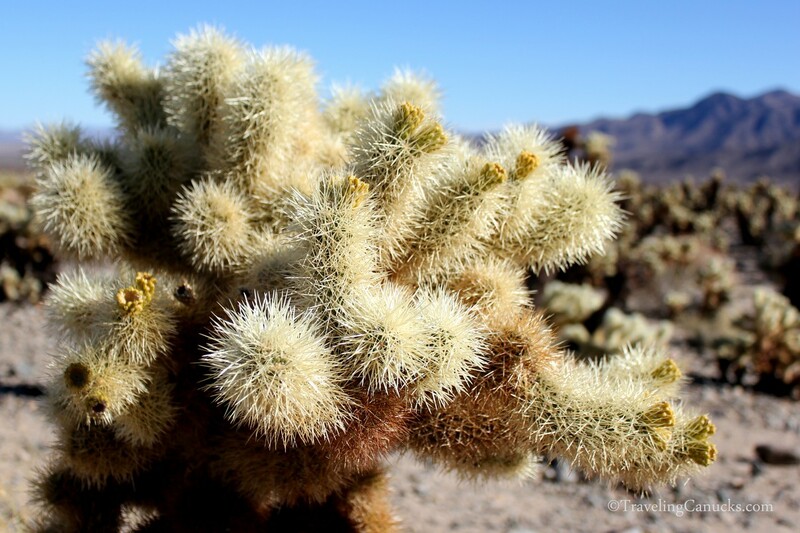 Close-up of the Teddy-bear cholla in the Cholla Cactus Garden – don’t touch! 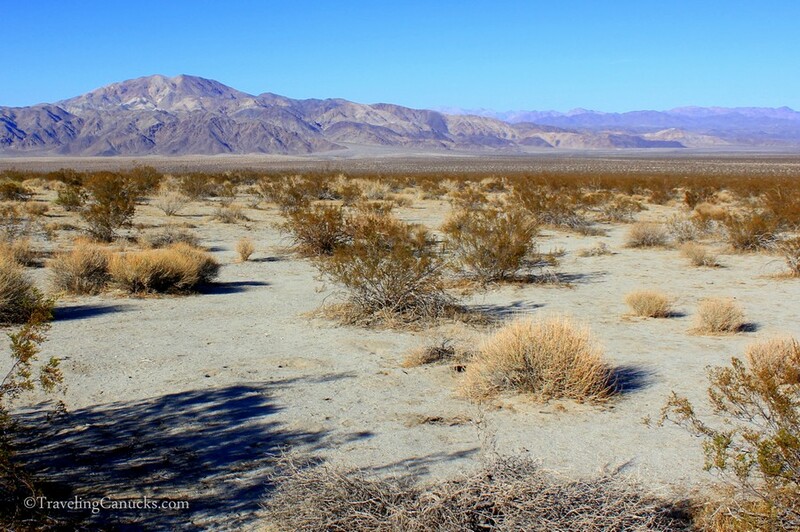 The endless lower desert plains of Joshua Tree – you don’t want your car to breakdown here! 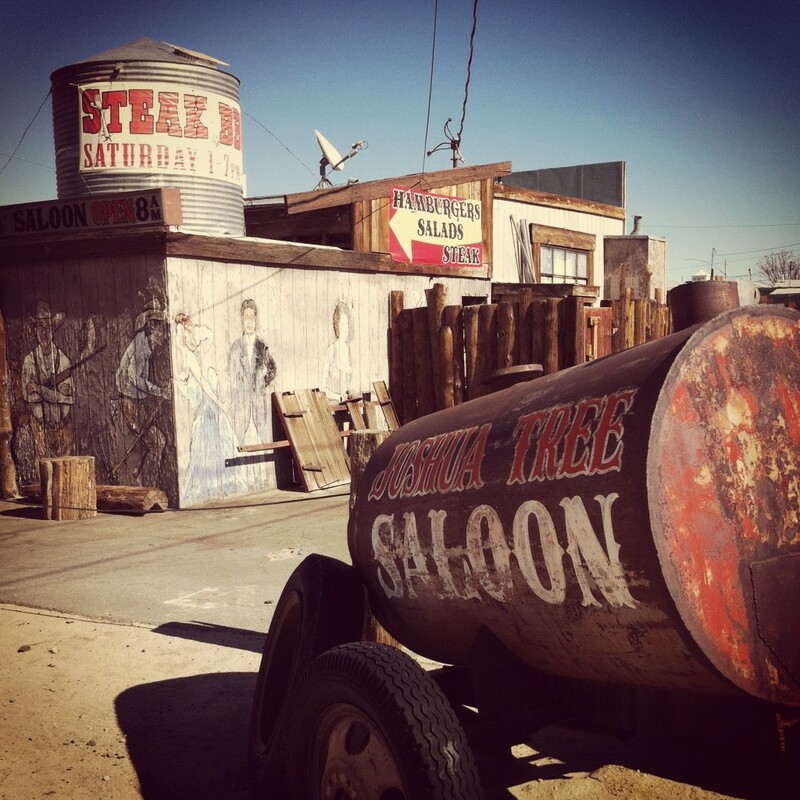 An old saloon in the town of Joshua Tree. It kinda has a wild west feel about it, doesn’t it? 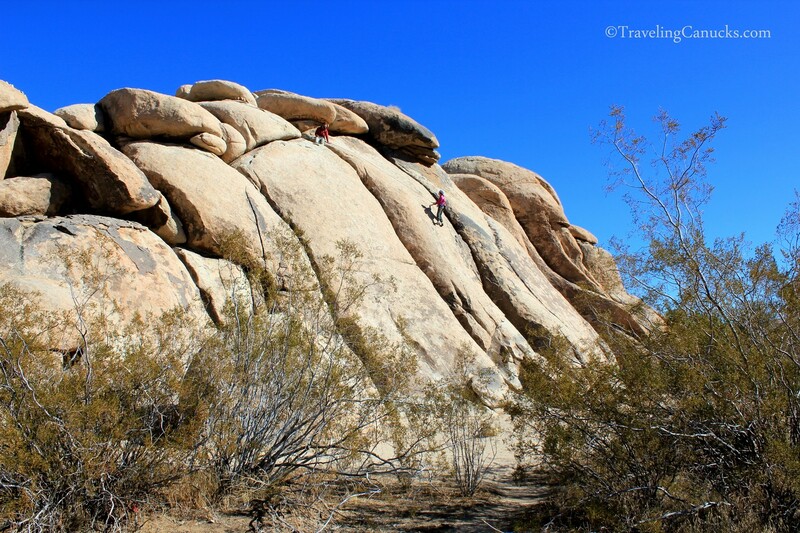 What makes Joshua Tree National Park so extraordinary? The park is a transition zone between two deserts, the Mojave desert in the higher elevation and the Colorado desert in the lower plains. 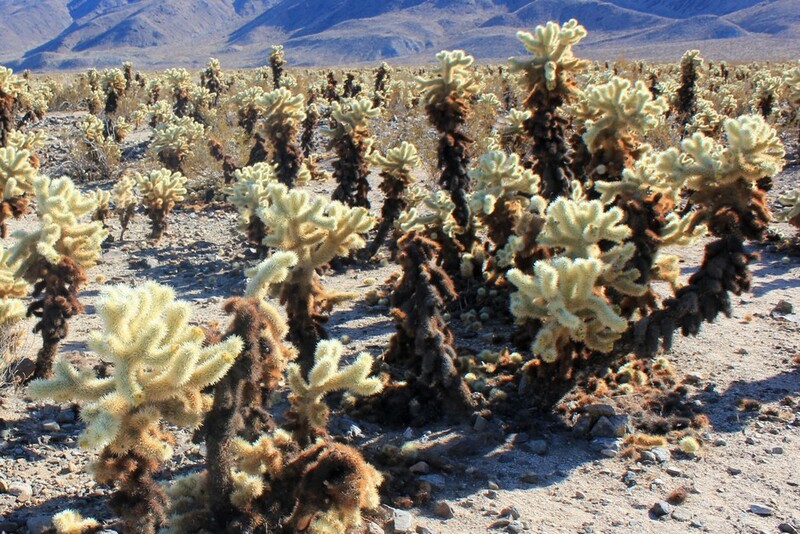 The varying temperatures create a rare eco-system with distinct plant species (like the unusual Cholla Cactus Garden pictured above). The unique rock formations in the park were formed over 100 million years ago, eroded by groundwater that shaped the peculiar outcroppings. It’s no surprise that the park is hugely popular with rock climbers, mountains bikers, hikers and outdoor enthusiasts. We’d love to return when Baby B is a little older and we can spend a few days exploring the park, camping under the desert stars – it must be quite the spectacle! 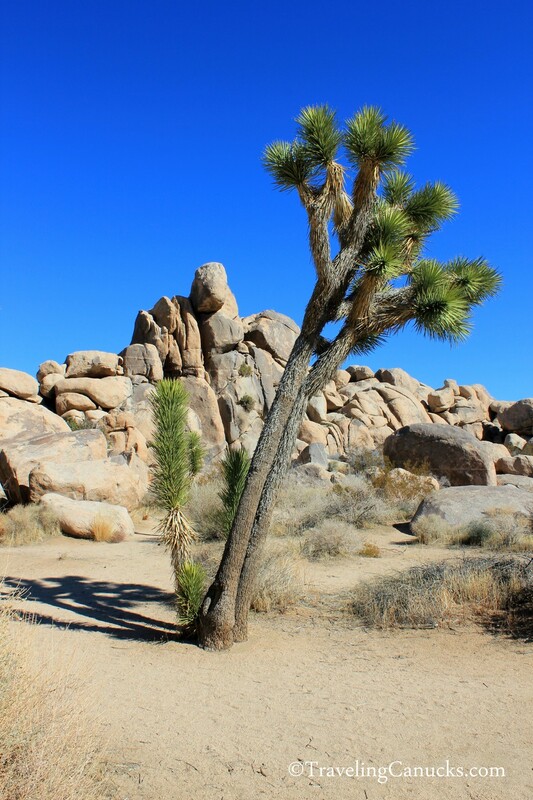 Have you visited Joshua Tree National Park? Share your experience and travel tips in the comments section below. One of my favorite spots to take photos. Really lovely there. Such unique and beautiful landscapes. Definitely on my list of places to visit. It looks amazing! 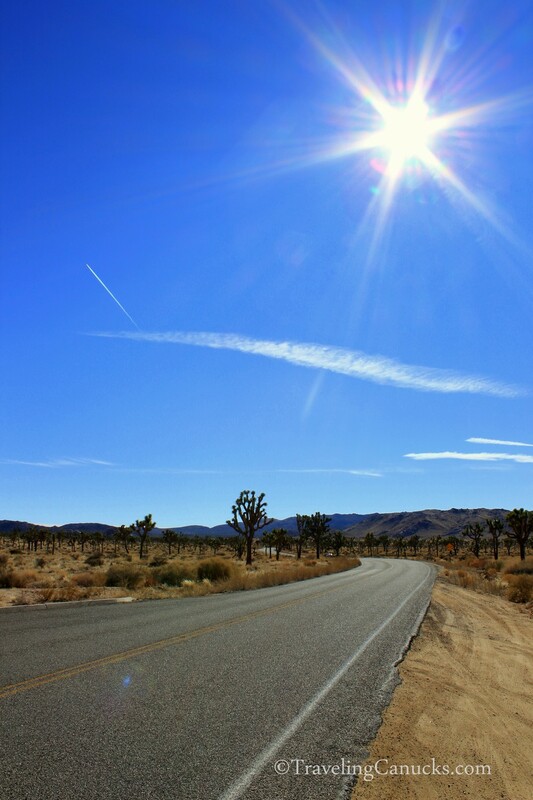 I was really close to Joshua Tree last year but never made it in. I kind of regret that now! I was just about to say that it felt like watching a good western movie while browsing through these photos, when I saw your comment under the last photo 🙂 Lovely place! Beautiful photos! Hope we make it to Joshua Tree one day! This is one of my favorite places in the American Southwest. If you want to visit it again, try to do so when the plants are in bloom. This is absolutely breathtaking. Thanks for the tip. We’ll keep that in mind! I adore Joshua Tree! It’s so remote and most people just drive right by it. I think it’s important that people know they should bring their own water, especially if you’re camping. You can get potable water, but there’s only one place to do so in the park, and it’s right along the edge, so it can be a long drive. Thanks for the tip JoAnna. We would have loved to camp, but we’ll have to wait for Baby B to get a bit older. Beautiful! Looks you had a great day for it, too! I’ve never been, but it’s on my list! We recommend it but make sure you have the time. A day is the best, especially if you want to do some hiking. 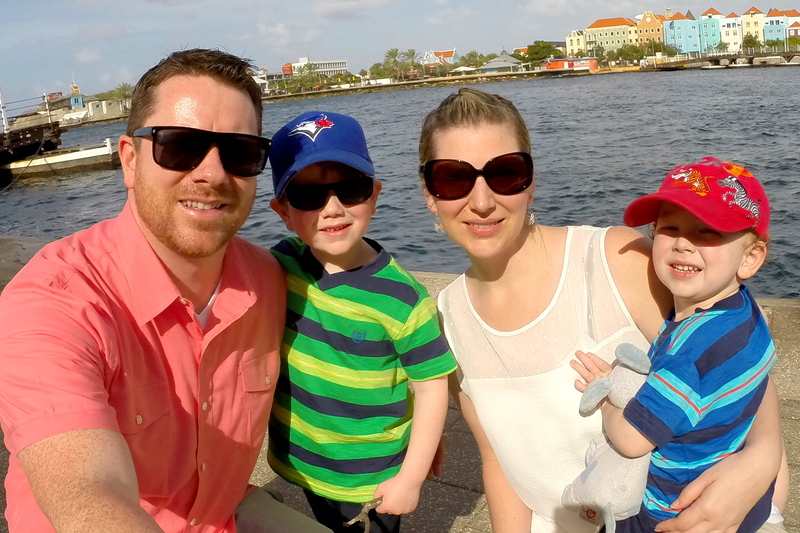 Awesome, Traveling Canucks! I was just there three weeks ago and loved it as well. It’s such an epic series of landscapes! Glad that you enjoyed your visit there. Here’s a gallery of shots I took at Joshua Tree if you’re interested. Thanks! We’ll check it out. 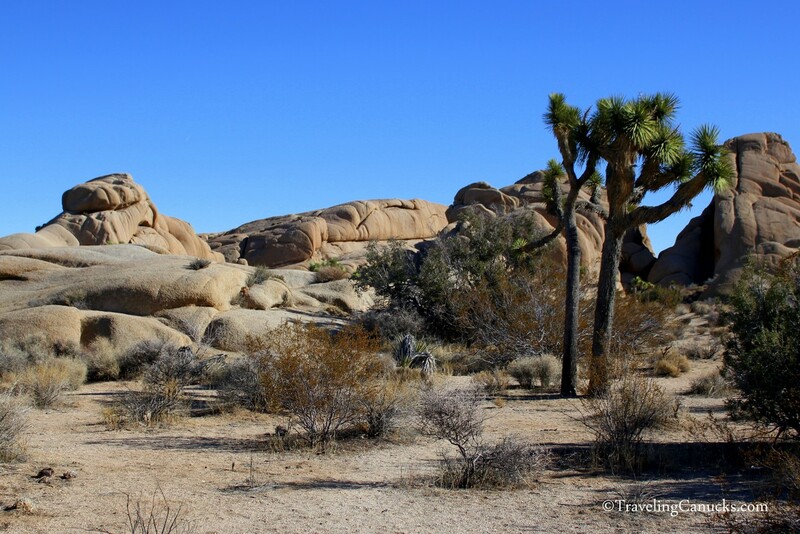 We’ve made plans to visit Joshua Tree on multiple occasions and it just hasn’t happened for us yet. One of these days, though! It looks like such a magical place, and we’ve heard really great things about it. Wow, what a scenic looking place. Wow! That looks awesome! It’s definitely on my list! It certainly is a prototypical Western Road Trip, isn’t it? I’m so glad that you got to see this sample of western landscape and the “old west” remainders. Come back some time in the spring to see it decorated with wildflowers! Oh, that would be beautiful! I’ve heard good things about Joshua Tree. (And there’s always the U2-connection 🙂 ) What strange and wonderful, moon-like landscape. It was very unique and we went through so many different landscapes…no other place like it! Really enjoyed this – brought back memories of a family trip to Joshua Tree in the early ’60’s, A sandstorm blew in at night, and I still remember the howling wind and piles of sand inside below the windows and doors in the morning. That would be an experience. Next time, we want to camp. I’ve read so much about Joshua Tree but never really seen photos of it. These are amazing! Such unique landscape. 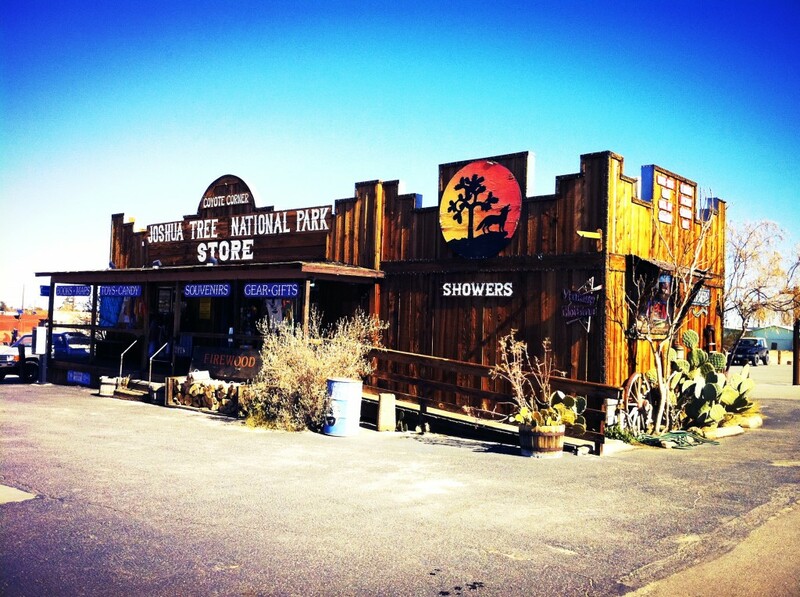 The Joshua Tree National Park is awesome and a great family vacation destination. It offers rock climbers some of the best climbing excursions in the U.S.
BTW: Your photos are amazing! Thanks! We saw lots of rock climbers in the park when we were there. Joshua National Parks seem to be a wonderful place, basing on your pictures! I’ve never been there yet, but I’m going to add it in the list of destinations to see during my next road trip in US! 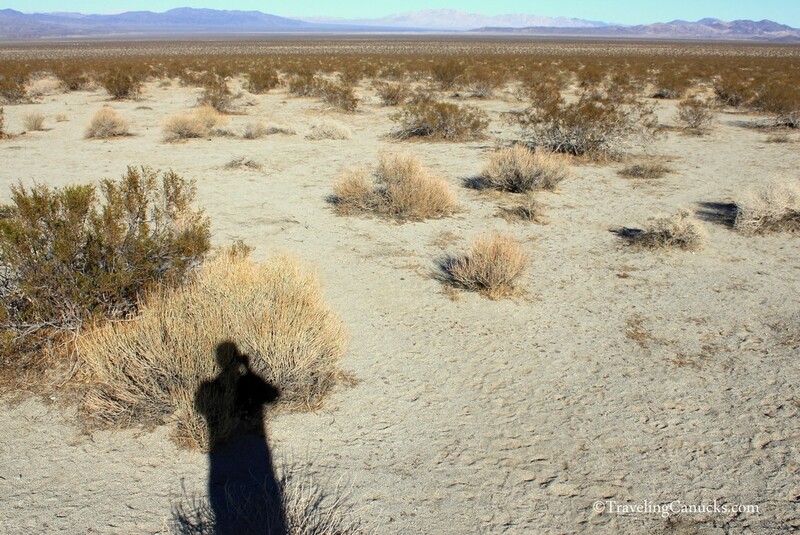 Joshua National Parks seem to be a wonderful place, basing on your pictures! I’ve never been there yet. I’ll add it in the list of destinations to see during my next road trip in US, definitely! I can’t miss it! A perfect roadtrip destination for sure! Wow, the blue is phenomenal. These landscape shots are so amazing, absolutely breathtaking. 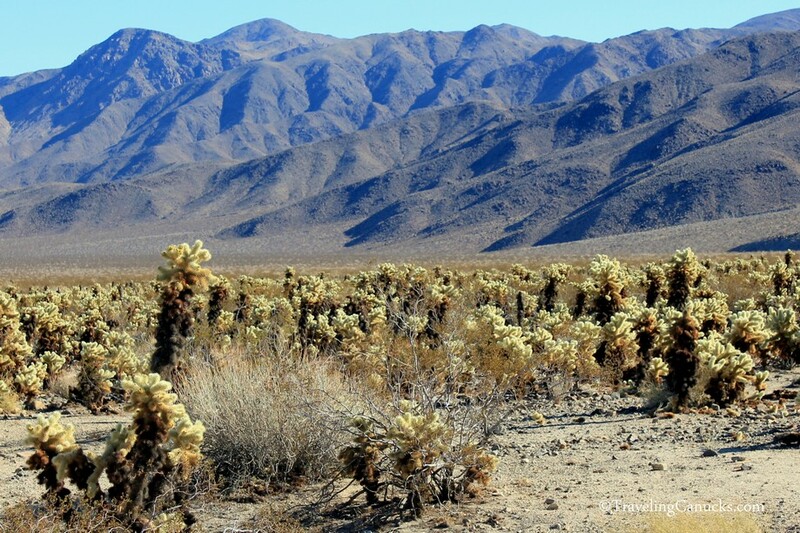 I’m just in love with the native Joshua tree and the Cholla cactus garden pictures. Can’t imagine if these pictures are so beautiful, what the whole experience of this place would be. I’m definitely adding it to my list of dream destinations. Thanks guys for sharing these. Those pictures are extremely breathtaking. Is it your first time there? I have not gone there yet but I would surely give it a visit! Lovely takes! Thanks so much for the kind words Sherry. Yes, this was our first trip to Joshua Tree. We hope to return one day and do some hiking and camping! Nice scenario and a really nice environment…. I wish I will visit it once…. It’s a very interesting place. Hopefully you’ll get a chance to experience it soon… I’m sure you’ll enjoy it George! We haven’t been to Death Valley yet… but we’ve heard similar comparisons. Love the little desert towns, reminds me of my home and some of the towns in Australia. We love little desert towns too. I don’t know why? There’s typically not a lot to see or do, but there’s something about the isolation that always perks our curiousity. Stunning photographs. I’ve heard of Joshua Tree before, but now I really want to visit. Looks like the weather completely cooperated. Thanks for your comment Pamela – we’re glad you like the photos! Yes, we got some fantastic weather, although it was quite cool. 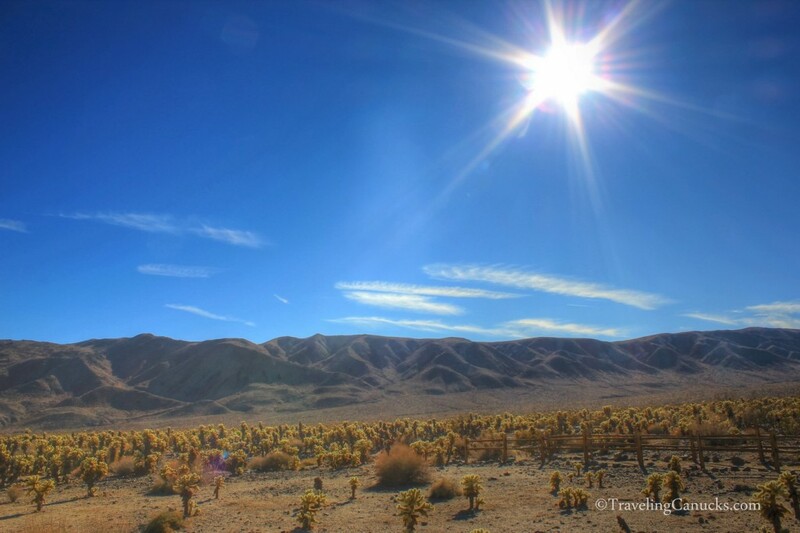 We have booked our trip to Palm Springs this March 2013! We are so excited to go. Thanks for all the tips and photos. We are both handicapped and can’t walk too far. Do you have any tips for must see places that are accessible? I’m compiling a list and links for things to do while we are there. 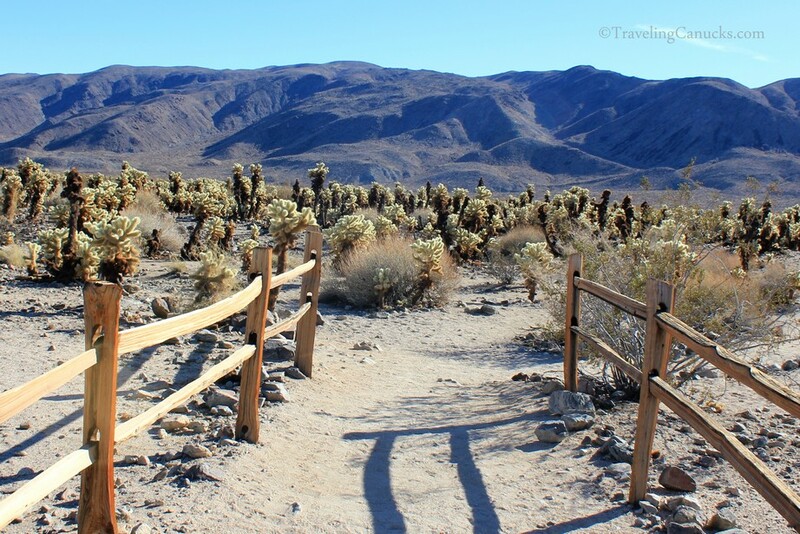 Of course we’ll drive to/through JTNP and go on the PS Tramway but what else should we do? Can’t wait to be warm in March! We’re having 30-50 degree cold clear weather right now. Thanks for your comment Alli! There are a lot of handicapped activities but I think you’ve covered the two big ones (JTNP and the Tramway). Have fun! Stop by after your trip and let us know how it went, we’d love to hear about it!